Health behavior research including exercise and medication adherence behavior among healthy and chronically ill adults. Meta-analysis research to determine the characteristics of the most effective interventions. MA, University of Missouri, Columbia, Mo. Post-doctorate, University of Iowa, Iowa City, Iowa. Dr. Conn conducted primary research and meta-analysis research on interventions to increase exercise behavior and to improve medication adherence. Dr. Conn’s several NIH and AHA funded projects were large meta-analyses synthesizing clinical and health behavior outcomes from hundreds of behavior change intervention studies. Her research is routinely published in premier interdisciplinary journals. Conn, V., Jefferson, U., Cohen, M., Anderson, C., Killion, C., Fahrenwald, N., Benefield, L., . . . Loya, J., (2017). Strategies to build authorship competence among PhD students. Western Journal of Nursing Research, 39, 329-355. Ruppar, T.M., Dunbar-Jacob, J.M., Mehr, D.R., Lewis, L.M., & Conn, V.S. (2017). Medication Adherence Interventions among Hypertensive Black Adults: A Systematic Review and Meta-Analysis. Journal of Hypertension, 35, 1145-1154. Enriquez, M. & Conn, V. (2016). Peers as facilitators of medication adherence interventions: a review. Journal of Primary Care and Community Health, 7, 44-55. Abualula, N., Jacobsen, K., Milligan, R., Rodan, M., & Conn, V. (2016). Evaluating diabetes educational interventions with a skill development component in adolescents with type 1 diabetes: a systematic review focusing on quality of life. The Diabetes Educator. Melynk, B., Orsolini, L., Gawlik, K., Braun, L., Chyun, D., Conn, V., Dunbar-Jacob, J., Lewis, L., Melkus, G., Millan, A., Rice, V., Wilbur, J., Nowlin, S., & Olin, A., (2016). Preventing heart attacks and strokes with the ABCS of Million Hearts: best practice guidelines and national recommendations for clinical practice, education, research and health policy. The Nurse Practitioner, 41(2), 46-53. Conn, V., Ruppar, T., Chase, J., Enriquez, M., & Cooper, P. (2015). Interventions to improve medication adherence in hypertensive patients: systematic review and meta-analysis. Current Hypertension Reports, 17, 94. Conn, V., Ruppar, T., Chan, K., Dunbar-Jacob, J., Pepper, G., & de Geest, S. (2015). Packaging interventions to increase medication adherence: systematic review and meta-analysis. Current Medical Research & Opinion, 31, 145-160. PMCID: PMC4562676. Conn, V., Ward, S., Herrick, L., Topp, R., Alexander, G., Anderson, C., Smith, C., Benefield, L., Given, B., Titler, M., Larson, J., Fahrenwald, N., Cogen, M., & Georgensen, S., (2015). Managing opportunities and challenges of co-authorship. Western Journal of Nursing Research, 37, 134-163. Conn, V., Chan, K., Banks, J., Ruppar, T., & Scharff, J. (2014). Cultural relevance of physical activity intervention research with underrepresented populations. The International Quarterly of Community Health and Education, 34, 391-414. Conn, V., Hafdahl, A., Phillips, L., Ruppar, T., & Chase, J. (2014). Impact of physical activity interventions on anthropometric outcomes: systematic review and meta-analyses. Journal of Primary Prevention, 35, 203-215. Ruppar, T., Conn, V., Chase, J., & Phillips, L. (2014). Lipid outcomes from supervised exercise interventions in healthy adults. American Journal of Health Behavior, 38, 823-830. Conn, V., Zerwic, J., Rawl, S., Wyman, J., Larson, J., Anderson, C., Fahrenwald, N., Benefield, L., Cohen, M., Smith,C., Topp, R., & Markis, N. (2014). Strategies for a successful PhD program: words of wisdom from the WJNR editorial board. Western Journal of Nursing Research, 36, 6 – 30. Chase, J. & Conn, V. (2013). Meta-analysis of fitness outcomes from motivational physical activity interventions. Nursing Research, 62, 294-304. Wakefield, B., Boren, B., Groves, P., & Conn, V. (2013). Heart failure care management programs: a review ofstudy interventions and meta-analysis of outcomes. Journal of Cardiovascular Nursing, 28(1):8-19. Chase, J., Topp, R., Smith, C., Cohen, M., Fahrenwald, N., Zerwic, J., Benefield, L., Anderson, C., & Conn, V. (2013). Time management strategies for research productivity. Western Journal of Nursing Research, 35, 155176. Conn, V., & Armer, J. (2012). Meta-analysis and public policy: Opportunity for nursing impact. Nursing Outlook,60, 297-304. Paper republished in 2012 60th anniversary issue (originally published in 1996). Conn, V., Phillips, L., Ruppar, T., & Chase, J. (2012). Physical activity interventions with healthy minority adults: meta-analysis of behavior and health outcomes. Journal of Health Care for the Poor & Underserved, 23, 59-80. Groves, P., Rawl, S., Wurzbach, M., Fahrenwald, N., Cohen, M., Beckett, D., Zerwic, J., Given, B., Algase, D., Alexander, G., & Conn, V. (2012). Secrets of successful short grant applications. Western Journal of Nursing Research, 34, 6-23. Conn, V., Hafdahl, A., & Mehr, D. (2011). Interventions to increase physical activity among healthy adults: meta-analysis of outcomes. American Journal of Public Health, 101, 751-758. Conn, V., & Groves, P. (2011). Protecting the power of interventions through proper reporting. Nursing Outlook, 59,318-325. Conn, V. (2010). Depressive symptom outcomes of physical activity interventions: meta-analysis findings. Annals of Behavioral Medicine, 39, 128-138. Conn, V. (2010). Anxiety outcomes of physical activity: meta-analysis of intervention trials. Nursing Research,59,224-231. Conn, V., Hafdahl, A., Cooper, P., Brown, L., & Lusk, S. (2009). Meta-analysis of workplace physical activity interventions. American Journal of Preventive Medicine, 37, 330-339. Conn, V., Hafdahl, A., Cooper, P., Ruppar, T., Mehr, D., & Russell, C. (2009). Interventions to improve medication adherence among older adults: meta-analysis of adherence outcomes among randomized controlled trials. The Gerontologist, 49, 447-462. Conn, V., Hafdahl, A., Moore, S., Nielsen, P., & Brown, L. (2009). Meta-analysis of interventions to increase physical activity among adults with cardiovascular disease. International Journal of Cardiology, 133, 307-320. Conn, V., Hafdahl, A., & Brown, L. (2009). Meta-analysis of quality-of-life outcomes from physical activity interventions. Nursing Research, 58, 175-183. Conn, V., Hafdahl, A., Brown, S., & Brown, L. (2008). Meta-analysis of patient education interventions to increase physical activity among chronically ill adults. Patient Education and Counseling, 70, 157-172. 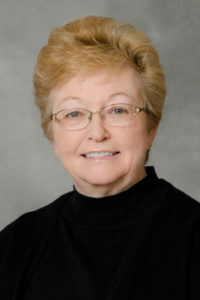 Dr. Conn directed research activities at Sinclair School of Nursing for over a decade. She is also editor-in-chief of Western Journal of Nursing Research. Dr. Conn was continuously funded by the National Institutes of Health for her exercise research for many years. Loya, J. (2016-2019). Physical activity intervention for Mexican-American adults with type 2 diabetes. National Institute for Nursing Research. Chase, J. (2012-2014). Meta-analysis of interventions to increase physical activity among older adults. Hartford Foundation. Scharff, J. (2012-2015). Worksite physical activity interventions. Jonas Foundation. Chase, J. (2012-2014). Meta-analysis of interventions to increase physical activity among older adults. National Institute of Nursing Research. Ruppar, T. (2007-2009). Medication compliance among older adults. Hartford Foundation. Pre-doctoral fellowship. Russell, C. (2005 – 2007). Medication compliance in older renal transplant patients. Hartford Foundation. Post-doctoral fellowship. Gretebeck, K. (2004–2006). Exercise intervention trial for older adults with heart failure. Claude Pepper Center Junior Faculty Fellowship (National Institute on Aging) at University of Michigan. Cochran, J. (2003–2006). Email intervention to enhance exercise among adults with type 2 diabetes. National Institute of Nursing Research Individual Predoctoral Fellowship. Pomeroy, S. (1999-2002). Church-based intervention to increase rural elders’ exercise. National Institute of Nursing Research Individual Predoctoral Fellowship. Conn, V., & Ruppar, T. (2016). Meta-anaylsis of blood pressure outcomes of medication adherence interventions. Council for the Advancement of Nursing Science. Conn, V., Ruppar, T., & Enriquez, M. (2015). Use of Theory in Medication Adherence Intervention Studies: A Meta-Analysis. Midwest Nursing Research Society. Conn, V., & Ruppar, T. (2014). Packaging Interventions to Increase Medication Adherence: Systematic Review and Meta-analysis. Council for the Advancement of Nursing Science, Washington, D.C.
Conn, V., Enriquez, M., & Ruppar, T., (2014). Cultural Relevance in Medication Adherence Interventions with Underrepresented Adultys: Systematic Review and Meta-Analysis of Outcomes. Council for the Advancement of Nursing Science, Washington, D.C.
Conn, V., Chase, J., Phillips, L., & Ruppar, T. (2013). Meta-Analyses of Health Outcomes from Supervised Exercise Interventions among Healthy Older Adults. 20th Annual International Association of Geriatrics and Gerontology Scientific Congress. Seoul, Korea. June 2013. Conn, V., Ruppar, T., Phillips, L., & Chase, J. (2012). Meta-analysis of anthropometric outcomes of supervised exercise interventions in healthy adults. 2012 State of the Science Congress on Nursing Research. Council for the Advancement of Nursing Science. Washington, D.C.
Conn, V. (2011). Meta-analysis of older adults’ health outcomes from supervised exercise interventions. Physical Activity and Aging International Conference. Athens, Greece. Conn, V. (2011). Physical activity interventions with healthy minority adults: meta-analysis of behavior and health outcomes. Sigma Theta Tau International. Cancun, Mexico. Conn, V., Phillips, L., Ruppar, T., & Chase, J. (2011). Meta-analysis of interventions to increase physical activity among healthy adults. National Institute of Nursing Research Symposium, Washington, D.C.
Conn, V., Phillips, L., Ruppar, T. (2011). Meta-analysis CER: moderator analyses to compare interventions to increase physical activity. Council for the Advancement of Nursing Research: Comparative Effectiveness Research. Washington, D.C.
Conn, V. (2010). Meta-analysis of interventions to increase physical activity among healthy adults. Council for the Advancement of Nursing Science. Washington, D.C.